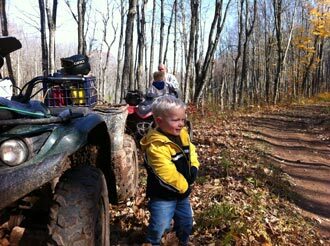 Two-and-a-half-year-old Andrew waiting for his dad, Scott Bojan, to "get going, we have lots more of the P Trail to ride!" 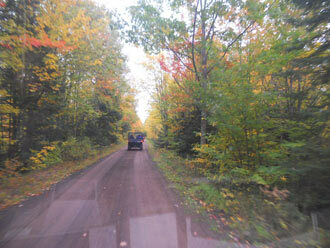 Photo of 2010 Mi-TRALE Senior Citizen Fall Color Ride. 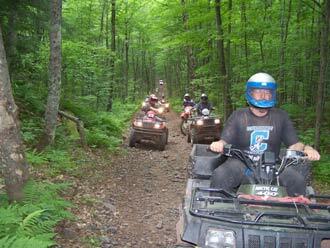 Photo courtesy of Randy Warren of Polaris Ranger Club.